Ahwazi Arab militants have claimed responsibility for the sabotage of an Iranian gas pipeline facility using improvised explosive devices near Shush (Susa). If confirmed, the attack suggests that Iran's attempts to quash ethnic insurgency through violent repression have so far failed. The Hasanein Brigade of the Brigades of the Martyr Mohiuddin Al Nasser, the military wing of the National Resistance of Ahwaz group, claimed the attack carried out on 23 October was an 'Eid gift' to the Ahwazi Arab political prisoners and the resistance in Syria. Located in the Sabe-atlal area, the pipeline is used to provide gas to a number of industrial facilities in the area. 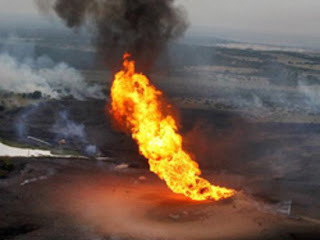 The government has given conflicting information on the cause of the pipeline explosion with some accounts denying any attack occurred and others blaming the explosion on 'sick-minded people'. No-one is believed to be hurt in the explosion. In a communiqué, the separatist group justified the attack, claiming that the oil and gas industries were financing the Iranian government's persecution and ethnic cleansing of Ahwazi Arabs. The group has said it will soon release a video statement and has pledged to continue attacks on economic and military targets in Iran. The attack was described in detail by the group, which has claimed responsibility for a number of attacks on strategic targets in Iran over recent years. The communiqué also claimed that the Brigades were responsible for previous unpublicised attacks, including roadside attack on security forces on 15 April and a train transporting oil near Haftapeh station on 16 September, allegedly destroying the train and the railtrack. Militancy has been used as an excuse by the regime to arrest, imprison and execute prominent Ahwazi Arab activists with no links to insurgent groups. The Iranian government has claimed that such attacks are the work of foreign forces, particularly Israel, the US, Britain and Saudi Arabia. However, it has failed to provide material evidence to support its claims.